Actor Saif Ali Khan has also spoken about his part in the jibe taken at actress Kangana Ranaut during the IIFA Awards, completing the trilogy of apologies offered. Only, what Saif said - to Firstpost - is a strangely worded humblebrag that both acknowledges and denies his star kid privilege. Saif also attempts to define what nepotism is, for the benefit of lesser mortals - it would appear we have been confusing nepotism with 'eugenics and genetics' all this time. (Before you reach for that dictionary - eugenics: the science of improving the genetic quality of a group of individuals). Here's what Saif Ali Khan, 46, told Firstpost about Kangana Ranaut, his co-star from Rangoon: "I respect Kangana tremendously for what she's achieved, for coming up the hard way. We're a mutual admiration society. She also agrees that despite having illustrious parents, I too have had an uneven beginning in Bombay. I understand what Kangana means by her stance on nepotism, though I have a slightly different take on it. People knew who I was because of my parents but that didn't necessarily give me an easy ride. Look at the spate of terrible movies I've starred in and you know that phase lasted for a long while." And so it did - who could forget Hameshaa, once seen? 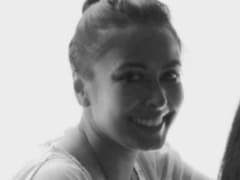 But for Saif, or any other son/daughter of a famous parent, to say they had an 'uneven beginning' despite their lineage is to miss the point by a mile - that they had a beginning at all, 'uneven' or otherwise, with zero struggle and without having to knock on a single door is exactly what privilege constitutes. A failure to recognise this demeans the very real achievements of those who had no help in the film industry while starting out, from Kangana Ranaut to the likes of Nawazuddin Siddiqui, who now shares equal screen time with the Khans after decades of languishing overlooked in obscure roles. "It's easy to confuse nepotism with genetics. Maybe there is something in the genes too that makes many of Raj Kapoor's descendants actors or Pataudis cricketers. I think it's actually eugenics and genetics that's coming into play," Saif Ali Khan told Firstpost. That's a farrago of Tharoor-like proportions, if you will. We're as confused by Saif's use of the term 'eugenics' as you are - perhaps he truly believes that actors are genetically superior? How else could they beat up 10 heavies at once while propping up a swooning maiden with one arm without turning a (slickly gelled) hair? "Nepotism is also not to be confused with campism," Saif said, adding, "Nepotism is Donald Trump putting his son at the helm of things instead of someone more suited for the job." Would that be like a director/producer casting his son/daughter/nephew/niece/friend/relative/friend's child in a film instead of someone more suited for the role? "Nevertheless, to me at IIFA it was just a joke and nothing more to be read into. But now I feel had we given it more thought, we could've really finished this ongoing public discourse on nepotism more decisively," Saif Ali Khan said to Firstpost. He told India Today that he had texted an apology to Kangana. It all began when Kangana Ranaut told Karan Johar on his chat show Koffee With Karan some months ago that he was the 'flag-bearer of nepotism' in Bollywood. Some public wrangling followed, via various interviews. 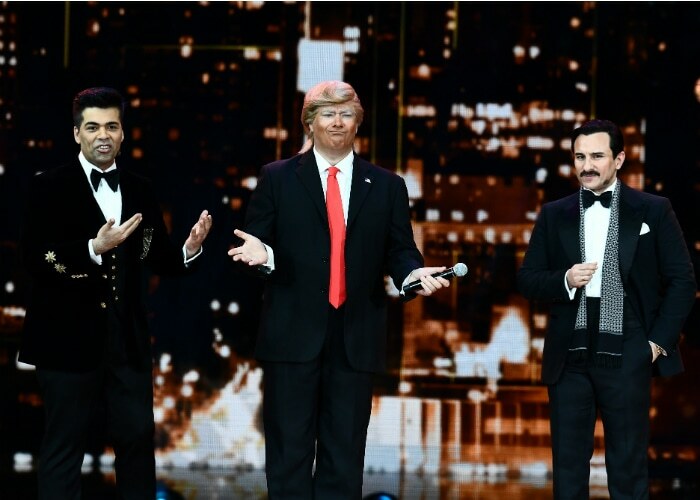 Then, last weekend, Karan and Saif, co-hosts at IIFA, and actor Varun Dhawan chorused 'Nepotism rocks' on stage, after invoking their famous parents. The jibe, made in Kangana Ranaut's absence, was noted and deplored widely. Karan Johar offered a clarification to NDTV, explaining that it was meant to be a joke that he took responsibility for and regretted. And now, we have this lesson on nepotism vs genetics from Saif Ali Khan to help us navigate the tricky terrain of Bollywood politics. Please accept our thanks.